Bamyan (Dari: ?????? B?my?n), also spelled Bamiyan and Bamian, is the capital of Bamyan Province in central Afghanistan. 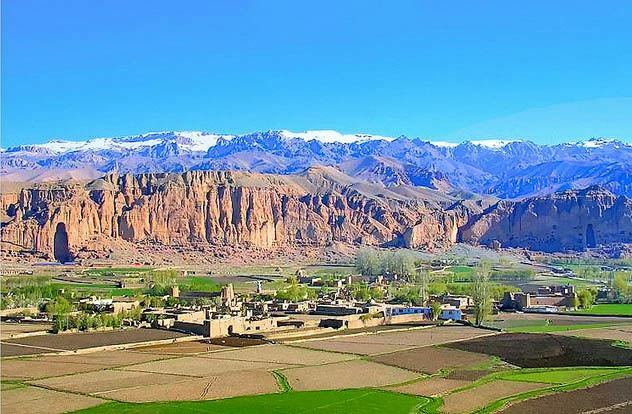 With an altitude of about 2,550 m and with a population of about 61,863, Bamyan is the largest town in the central Afghan region of Hazarajat, and lies approximately 240 kilometres north-west of Kabul, the national capital. Bamyan was the site of an early Hindu–Buddhist monastery from which Bamyan takes its name (Sanskrit varmayana, "coloured"). Bamyans name is translated as ‘The Place of Shining Light’. Many statues of Buddha are carved into the sides of cliffs facing Bamyan city. In 2008, Bamyan was found to be the home of the worlds oldest oil paintings. Situated on the ancient Silk Route, the town was at the crossroads between the East and West when all trade between China and the Middle East passed through it. The Hunas made it their capital in the 5th century. Because of the cliff of the Buddhas, the ruins of the Monks caves, Shar-i-Gholghola (City of Sighs, the ruins of an ancient city destroyed by Genghis Khan during the 1221 siege of Bamiyan), and its local scenery, it is one of the most visited places in Afghanistan. The Shar-i-Zohak mound ten miles south of the valley is the site of a citadel that guarded the city, and the ruins of an acropolis could be found there as recently as the 1990s. Mountains cover ninety percent of the province, and the cold, long winter, lasting for six months, brings temperatures of three to twenty degrees Celsius below zero. Mainly Daizangi Hazara people live in the area. Transportation facilities are increasing, but sparse. The city of Bamyan was part of the Buddhist Kushan Empire in the early centuries of the Christian era. After the Kushan Empire fell to the Sassanids, Bamyan became part of the Kushansha, vassals to the Sassanids. The Hephthalites conquered Bamyan in the 5th century. After their Khanate was destroyed by the Sassanids and Turks in 565, Bamyan became the capital of the small Kushano-Hephthalite kingdom until 870, when it was conquered by the Saffarids. The area was conquered by the Ghaznavids in the 11th century. 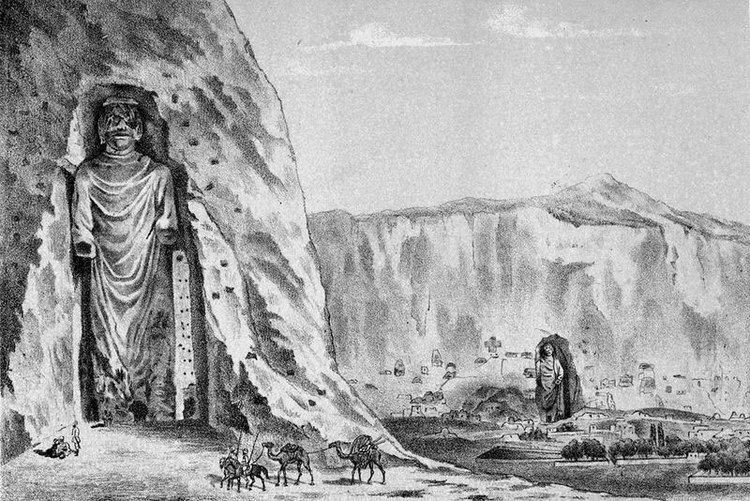 The first European to see Bamyan was William Moorcroft (explorer) about 1824. For decades, Bamyan has been the center of combat between Jealous Taliban forces and the anti-Taliban alliance; mainly Hizb-i-Wahdat – amid clashes among the warlords of local militia. 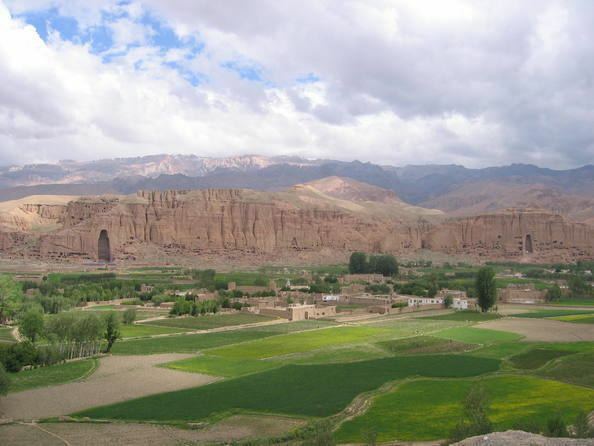 Bamyan is also known as the capital of Daizangi.